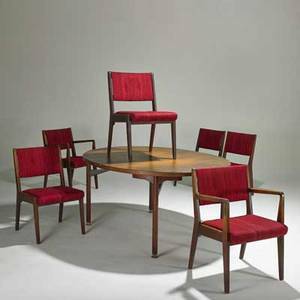 Jens risom; etc. 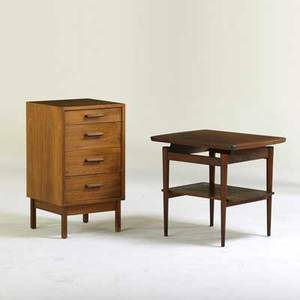 ; walnut side table with walnut four drawer cabinet, usa, 1950s; side table: 24" x 27" x 21 1/2", cabinet: 32" x 18" sq. 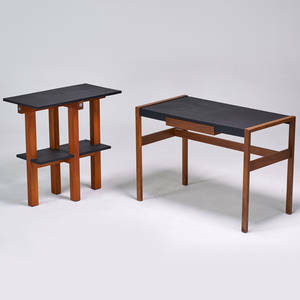 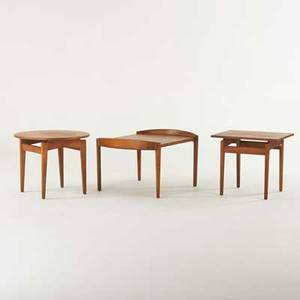 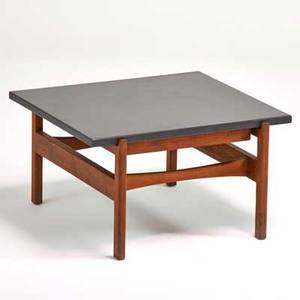 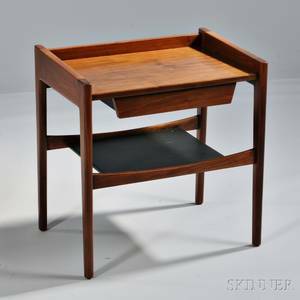 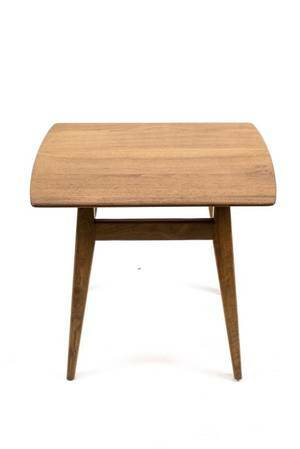 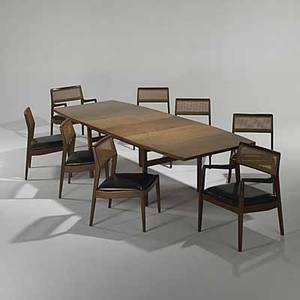 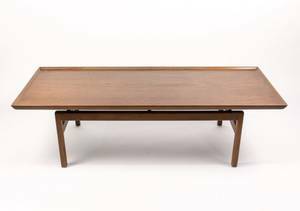 Jens risom; jens risom designs, inc; side table; walnut, slate; 15 1/4" x 25 1/2" x 27"
Style of jens risom; desk and side table, usa, 1970s; wood, slate, vinyl; unmarked; desk: 29" x 42" x 22", table: 32" x 32" x 17"
Jens risom; jens risom design; walnut, wicker and leather table and eight chairs, two leaves; unmarked; table: 29 1/2" x 76" x 42", leaves: 18", armchair: 32" x 22 1/2" x 21"
Jens risom; jens risom design; walnut and tufted wool sofa, 1965; unmarked; 32" x 72" x 32"